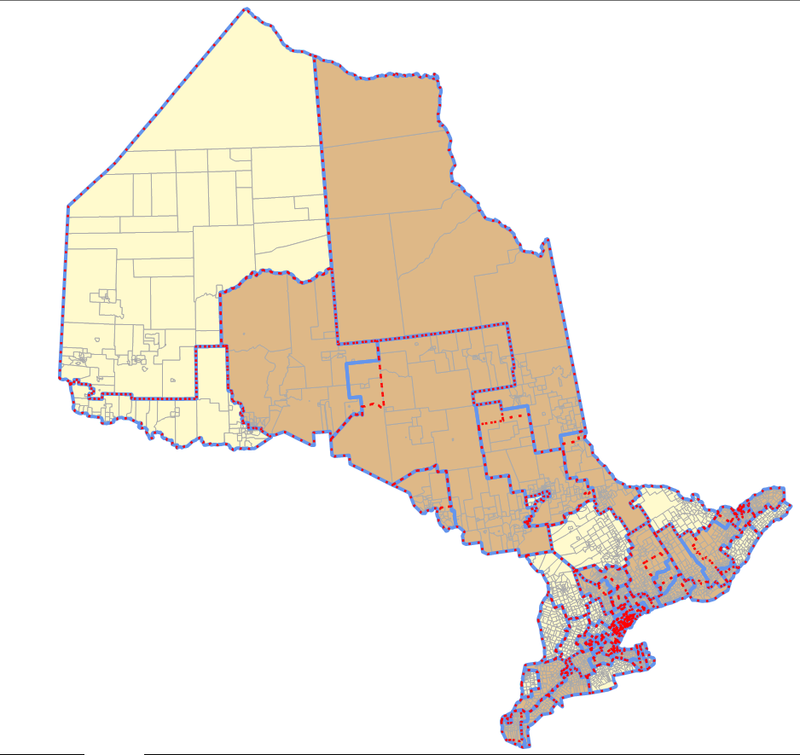 The brown map colours indicate a change in the boundaries of the riding within which a polling district falls, and the beige map colours indicate no change. The actual change in riding boundaries is demarcated by lines; blue lines are old boundaries, red dashed lines are new boundaries. The general guideline for federal district boundary creation and/or modification is that each district should be within 25% of the population of a target district population, which is equal to the provincial population divided by the number of seats available. 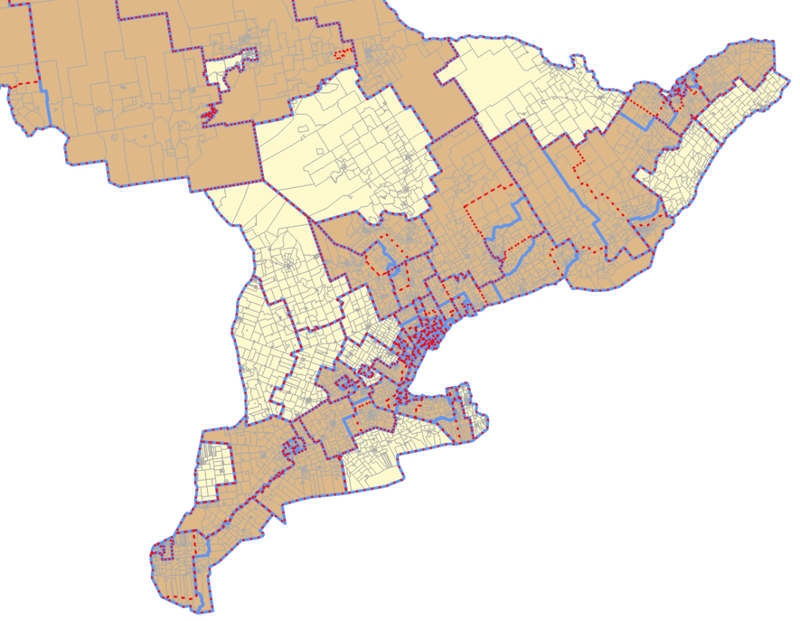 In Ontario, this target district population is around 106,000 people. The district of Kenora is the largest in terms of area and the smallest in terms of population (based on the Census, there are less than 60,000 people). In spite of its small size, Kenora was left unchanged under a provision in the elections act that allows, under ‘extraordinary circumstances’ very small (or large) population districts. In general, Northern Ontario is somewhat over-represented–with 10 seats when 8 would be more appropriate given its population size. According to the Ontario Election Commission’s Report, Northern Ontario was left largely unchanged (and electorally over-represented) based on their public consultations and the ‘inappropriate involvement’ of two or more members of parliament. A full high-resolution map of the boundaries can be downloaded here. This entry was posted in Uncategorized on March 6, 2015 by Niko Yiannakoulias.